In yet another leak sourced from the iOS 11 GM, developer Steve Troughton-Smith has uncovered a render of the new version of Apple's AirPods. Troughton-Smith noted that while a render of the "iPhone X" has not been discovered within the firmware (yet), the LTE Apple Watch and now the new AirPods each have renders in the golden master of iOS 11. 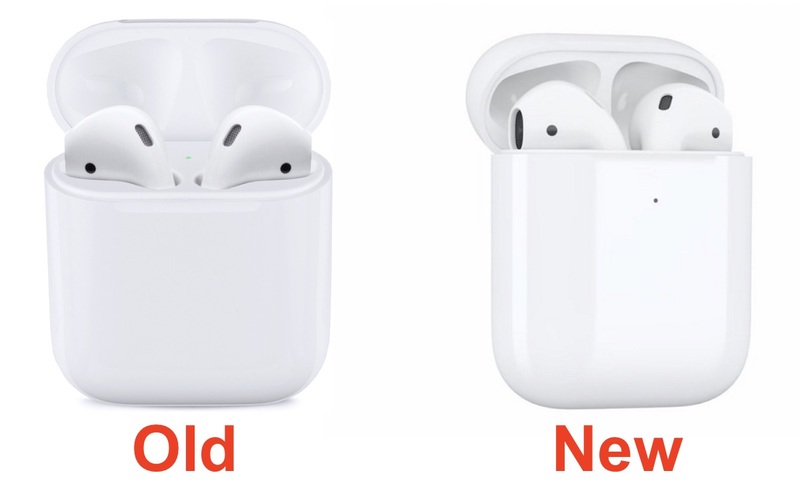 Unsurprisingly, the new AirPods look a lot like the old AirPods, with an all-white charging case and white buds. The case has the same clamshell design as the current model, but has one noticeable difference: the LED charging indicator "status light" has moved from the inside of the case to the outside. When the AirPods are in the case, the LED shows the charge status of the pods, but if they are removed from the case then the LED shows the status of the case itself. Green indicates charged, while an amber glow means less than one full charge remains. In today's short video, the LED appears to be flashing white, which Apple's support website currently explains as an indication that the AirPods are ready to be set up with another device, suggesting some of the same LED patterns will be on the new AirPods. Last night, the first wave of iOS 11 GM leaks included references to "AirPods 1,2," which could be the updated version of the wire-free headphones that have been shared today. Of course, with just one image and a two-second clip it's impossible to say what other new features might be coming to AirPods 2.0, or if Apple is ready to announce the new model as soon as Tuesday's upcoming iPhone X event. Having the original ones I prefer the indicator light inside rather than outside. If there’s no improvement otherwise I will gladly keep version 1. Glad they’re making improvements to it, better quality and maybe an hour extra battery life (or more) would be cool. A black model would be a brilliant move. If you’re going to argue that the GM doesn’t show black then please remember that the W1 animations always show the white model, so it’s not ruled out. I'm surprised there isn't a black version. Apple should really add a black version or just all the colors of the iPhone. At what point does Apple hire Steve Troughton-Smith purely to stop him posting these kind of leaks? Nice, another Apple product that we won't be able to find in the retail environment for 10-11 months with any relative ease. Call me in February when all the new iPhone models and storage capacities are readily available and the wait for these new AirPods is only 6 weeks. Supply Chain FAIL. It's entirely possible that the only improvements are manufacturability. Apple had a heck of a time keeping up with demand, even after a delayed release. I was wondering if it's possible they to be bundled with the iPhone X. It'd be better than the Apple Music & iCloud subscriptions.